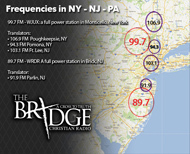 Tandem Radio on the Bridge FM Saturday, July 7th with our Featured Guest: Codi Gill of TriNet. Codi Napolitano Gill is a Regional Sales Consultant with TriNet, a National PEO. She helps CEO’s, CFO’s, COO’s and Entrepreneurs contain HR costs, reduce their companies administrative burden, and minimize employer related risks. High Tech-High Touch solutions produce measurable results and enable clients to attract and retain top performers while focusing on their core business.